We put great emphasis on the quality of our products and permanent quality assurance. 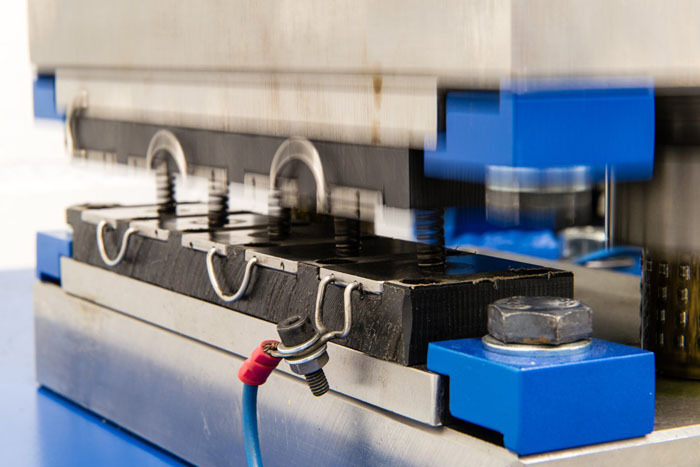 We use automated production monitoring as well as a comprehensive final inspection to ensure that all standards are met. 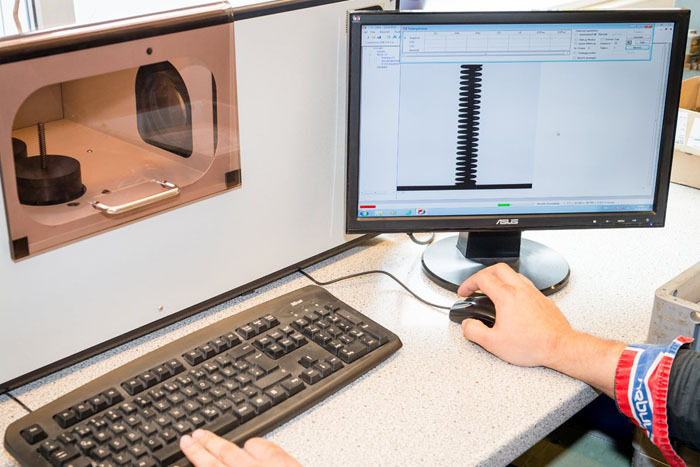 All our machines are equipped with electronic length gauges, cameras or laser scanners. In addition, numerous reputable customers such as Autoliv, Airbus and Honeywell have carried out audits. Our quality system is certified to ISO 9001:2015 and EN 9100:2016 (requirements for aviation). We use the QS software developed by Brain-Tec.IT Solutions (www.brain-tec.com) for constant quality control throughout production and during the final inspection. It allows us to assess statistical data and to immediately access electronically archived inspection records. 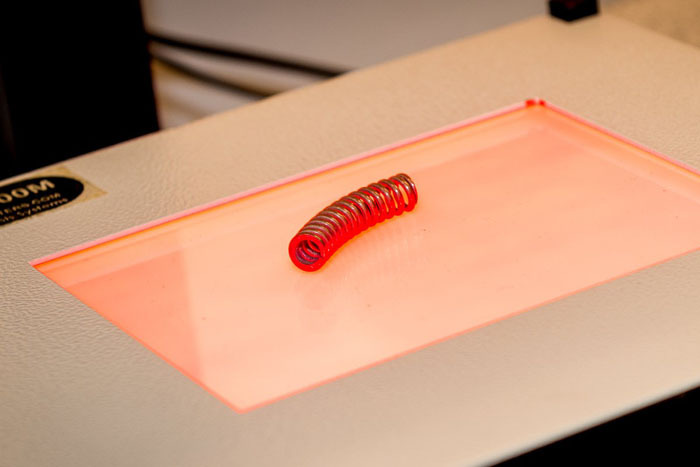 Torsion and tension springs are scanned or monitored using a camera. Leg and eyelet positions are scanned. 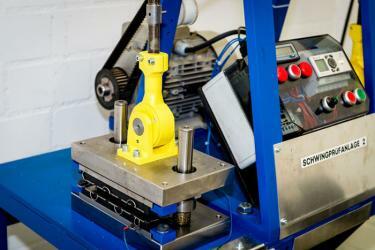 Fatigue tests can also of course be carried out for durability requirements. Relaxation requirements can likewise be tested. Our QS uses modern camera systems. 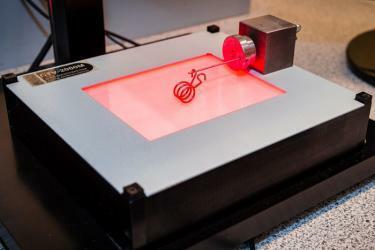 This makes inspecting complicated bending parts and leaf springs much easier and more precise. In this example, the bend radius of a bow spring is being measured. The camera system enables a very precise measurement of the bend radius and significantly speeds up the measurement process. 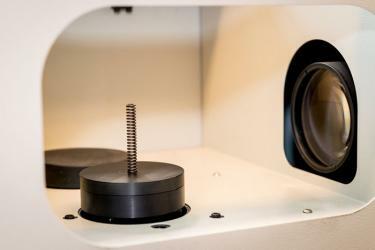 Measuring a torsion spring using our CTV 2000M camera system. The CTV 1600 optical measurement system enables the measurement of e 1 and e 2. E 1 is the permissible deviation of the surface line from the vertical line, and e 2 is the permissible deviation of the parallelism. Without the CTV 1600, it is very difficult to determine e 1 and e 2 precisely. With conventional methods, determining the maximum deviation largely depends on the person carrying out the measurement. The new measurement process prevents these influences. The rotating plates ensure that the spring is captured by the camera on all sides. E 1 and e 2 can therefore be measured quickly and very precisely. 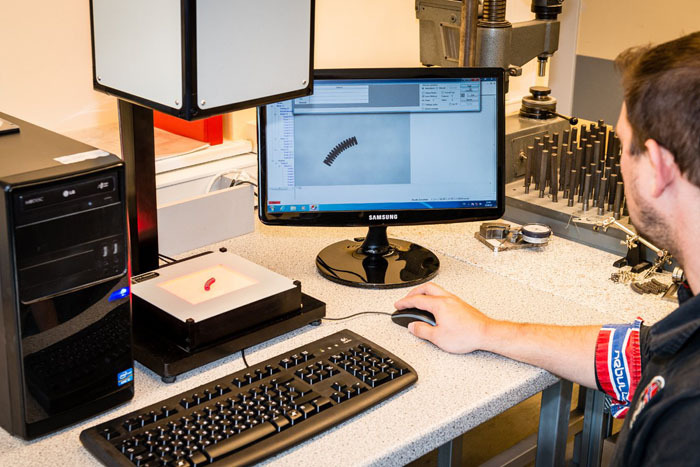 An important design requirement for our products is often the achievement of a high load cycle quantity. In order to monitor this requirement, we always carry out fatigue tests for every production. This constant testing also ensures the fulfilment of this requirement in series production. The test stations we develop in-house are adapted to the products. We carry out durability tests for compression springs and tension springs, as well as for torsion springs using special equipment.